If you are a cruise fan, it’s quite likely that you have already seen the Caribbean and Mexican ports that have the ability to dock the great big ships of today. Cozumel, Grand Cayman, Jamaica, Puerto Rico, St. Thomas and Nassau come to mind. 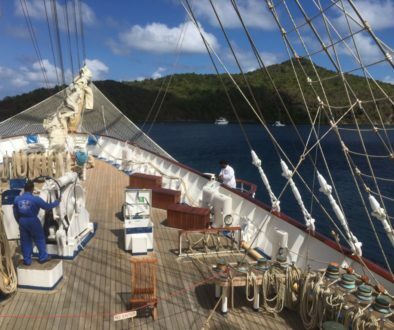 Some of the small ships like the Royal Clipper my group is sailing on from Barbados in January can anchor or dock in some unique ports of call. I must say that, as a former competitive swimmer, the attraction for me to island life is typically all about the ocean swim and pretty beach. I have a feeling we are going to find lots of that. Let’s go on a treasure hunt! I will share by following the actual itinerary with Star Clippers. This is the Easternmost island of the entire Caribbean, and is so British that it has a Trafalgar Square! Fascinating fact: This is the only place in the world outside of America that George Washington visited. The east coast has isolated beaches the color of sunrise, it’s reds sands blew all the way across the ocean from the Sahara in Africa! It’s rum and fun-loving people love the Brit traditions like cricket and high tea. 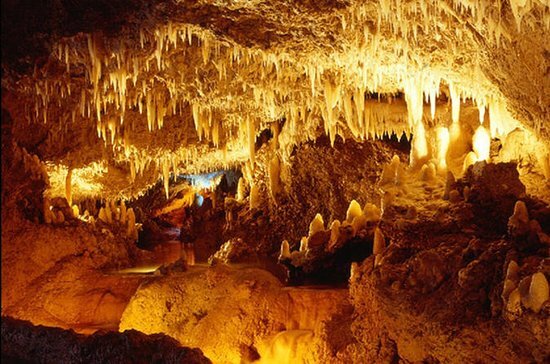 You can visit the Mount Gay Rum Visitors Center for a tour and tasting, and enjoy a nature day in the beautiful Harrison caves. It’s exciting to learn a bit about these wonderful and relatively untouched islands, and it’s even more fun that we won’t know until we get there which beach we will play on! The appropriately named island aromas of nutmeg, cinnamon and vanilla await you. They say it’s fun to follow the old tunnel which was hand built in 1895 to the Esplanade and the old Ft. George for an amazing view of Granada. I can’t wait to shop for some fresh spices! Put your orders in to me now! Grin. I am expecting some of the best snorkeling EVER here, and I can’t wait! 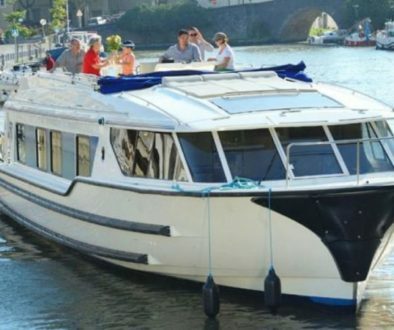 There are four small inlets and a fabulous reef for underwater exploration. It’s a protected National Park, so when you visit, please be sure that if you use sunscreen to choose the one that is considered safe for the coral. I want to take my granddaughter when she’s older, so we must be careful with our oceans! St. Vincent is the largest of the Grenadines. A bustling city of 20,000, this is the “City of Arches”, and I am told we will understand when we arrive. Many of the town’s building date to the 19th century, and there’s a fort on the outskirts of town. Expect to enjoy some history lessons as you explore the many churches and historical buildings, perhaps do some shopping, and they say do not miss the botanical gardens. Sounds like a fun morning! We only stop for a few hours here. The second largest of the Grenadines at 7 square miles, we will anchor in the beautiful harbour of Young Island, a 10-minute ferry ride from Port Elizabeth at Bequia. A stroll along the beach of Admiralty Bay will be heavenly! This island, part of the Lesser Antilles of the West Indies, is 436 Square miles of classic French beauty. It’s both wild and sophisticated at the same time! You may have heard of Mt. Pelee, which last erupted in 1902, killing 30,000 inhabitants of Saint-Pierre in a matter of minutes. But don’t worry…scientists are monitoring this still active volcano carefully. Additionally, you will love the spicy creole cooking and the tempting boutiques in Fort de France. This port will satisfy everyone in your group! Here is your ocean swim. Enjoy that! 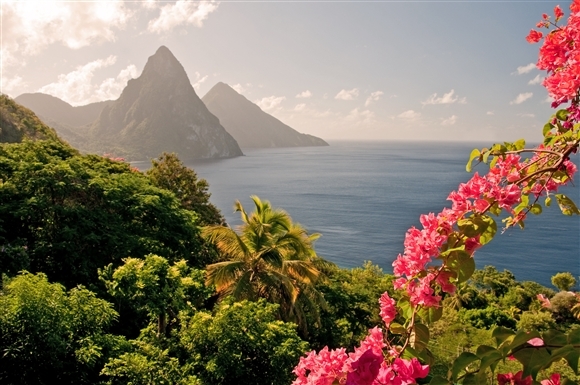 Both large ships and small will visit St. Lucia, another island of volcanic origin. You have likely seen photos of her majestic Piton peaks, so certainly you may enjoy another hiking day here. But the snorkeling can be fantastic, and the cuisine divine. It has been both British and French, but is now independent. Enjoy this description of the Marigot Bay from their website. “Marigot Bay is located just off the West Coast road and is home to what most consider to be the most beautiful Bay in the Caribbean as described by Novelist James A. Michener. In the afternoon we will anchor here, with a glorious view of the Pitons. You will have a hard time deciding whether to get into the water or hike the land! These are some of the activities and sites to consider, taken directly from Wikipedia. 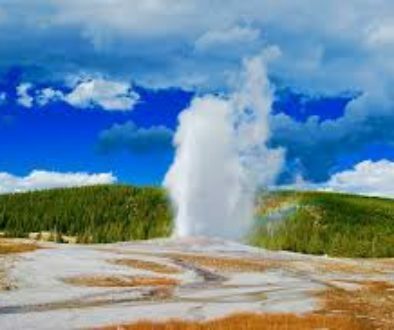 I suggest Diamond Falls and Mineral Baths. Take a dip in the pool under the waterfalls. St Lucia’s Rainforest – there are several rainforest trails in the area with views, wildlife and waterfalls such as the Enbas Saut Falls. Volga Nature Trail – a hiking trail with views of both pitons up close with views of Sugar beach. I hope you get the chance to visit several (or all!) of these ports in your lifetime. 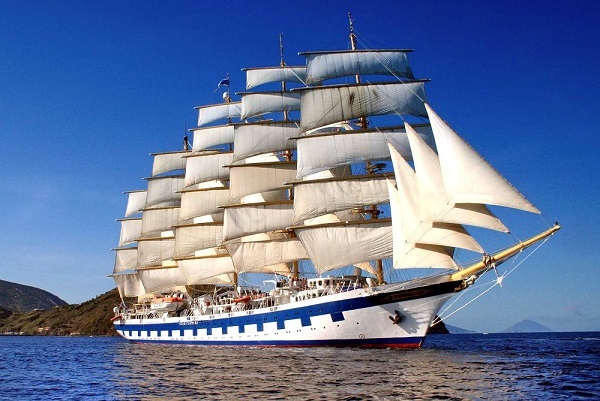 Take a serious look at the Star Clippers company for a sailing adventure, too! I am so pumped to do this, as I have always wanted to sail a smaller ship. Granted, this one has lots of bells and whistles and someone will cook and clean for me. Grin. But they do let you pitch in to help hoist sails and such. AND the Royal Clipper we are sailing has a toy deck for playing in port…things like kayaks, stand-up paddle-boards, that sort of thing. As always, I am at your service to make sure your travel experiences are amazing!